The Illinois Congressman is selected as chairman of the Oversight subcommittee on economic and consumer policy. As Indian Americans continue to make news with their political influence, there is more good news from the Capitol Hill. 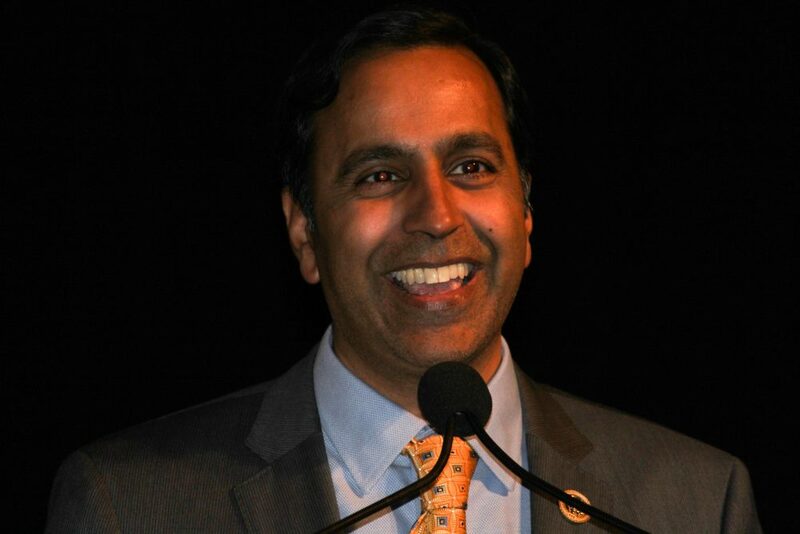 Illinois Democrat Raja Krishnamoorthi today was named Chairman of the House Oversight Committee’s Subcommittee on Economic and Consumer Policy. This new role makes the congressman the first ever member of South Asian descent to chair a congressional committee or subcommittee. The leadership role gives Krishnamoorthi, who is serving his second term in Congress, jurisdiction over important pocketbook issues such as education, workforce development, income inequality, health care, consumer protection and data privacy. Just last week, Krishnamoorthi was appointed to as the member of a key US House committee handling intelligence-related issues. Krishnamoorthi was first elected to Congress from Illinois’ 6th district in 2016. Last year, he was re-elected with a comfortable margin. In an interview just before the midterm election last November, he told the American Bazaar that if his party captured power, it will investigate “ethical lapses” and “self-dealing corruption” and “do our part to make sure that the government is running” and restore people’s trust in government.